Over the years scores of drivers have raced or tested under the Wayne Poole Racing banner including professional race drivers such as Peter Dempsey, Steven Kane, Danny Watts and Oliver Jarvis at prestige events like the Walter Hayes Trophy. 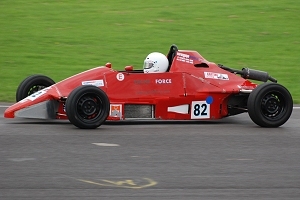 Team Principal and regular competitor, Wayne Poole from Dursley, has been competing in the Formula Ford Kent category for many years. Concentrating on his local Castle Combe circuit he has many successes including winning the polepositions.co.uk Class B Championship in 2000 in his Van Diemen RF88. In recent years the demands of team mangement have limited him to occasional outings in one of the team cars. * Images copyright of Neil Ormston. Although still in his twenties, Josh Fisher, from Bridgwater Somerset, already has an impressive motor racing pedigree. From Formula Zip, Josh has raced successfully in Formula BMW (third in the 2004 Championship), Formula Renault and National Class F3 with team SWR Crypton which included a win at Donington in 2005. Josh, as well as being a fast and experienced competitor, is also a highly effective development driver and has worked with Wayne Poole Racing to assist them with the ongoing development of their Mygale SJ01s which have been converted from Zetec to Kent Ford power. 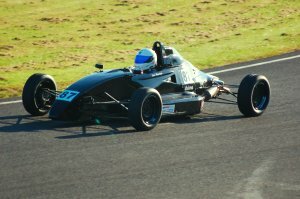 As part of the arrangement Josh has been racing in the Castle Combe FF1600 Championship and immediately made a strong impression. On his first outing at the May 28th 2007 meeting Josh took pole and was leading comfortable in wet conditions before an electrical problem put him out. Later in the season the wins began to come at Combe and Josh was a fovourite for the end of year WHT classic but was taken out while in contention. For 2008 Josh continued in the WPR Mygale (now rebodied to SJ03 spec) and was mostly unbeatable taking the Championship comfortably. The season ended with a strong showing at the WHT meeting with a strong second place in the grand final. More recently Josh has been running his own(ex Jim Morris) Van Diemen but is on hand to assist the team when needed. Steve, a management consultant from Newport, joined the WPR team early in 2010, acquiring one the team's Van Diemen RF88s. Steve finished his first year of racing with a Class win at the end of year Carnival at Castle Combe. For 2011 Steve moved into one a RF89 while wife, Denise, had a few runs in Steve's RF88 before deciding that it wasn't for her. As Steve became more comfortable in the car padiums and class wins followed. In 2013, going into the final round of the Castle Combe Championship, Steve was joint leader and was running ahead of his rival in the race. However,an incident, while trying to take the Class lead in the race led of a major accident and a disappointing conclusion. 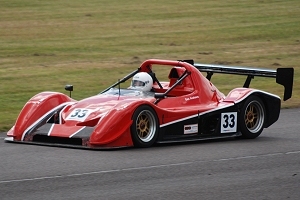 Looking for another racing experience Steve bought the ex Darcy Smith 2 litre Nemesis GT RME98 which he has used at Castle Combe and Silverstone in recent years with some success. Guy, from Bath,	has been following a similar path to Des Andrews. Having had some success in Clubmans racing with a Mallock MK23 and a Gem Guy has also decided to give Formula Ford and GT racing a go. At the end of 2008 Des tested and raced his Van Diemen RF00, sponsored by the Flying Pig Renovation Company, under the Wayne Poole Racing banner. For 2010 Guy decided to switch to GTs and acquired a Nemesis 02 with a 2 litre Vauxhall engine. Appearing in 2009 in a striking shade of green Guy had some promising outings but 2010 saw the breakthrough. Enjoying the racing and now in a yellow and black colour scheme Guy toof his first class win and then his first overall win at the end of the season. Graham, from Taunton in Somerset, was formerly a hillclimber competing at Gurston Down and Wiscombe Park before turning his hand to circuit racing a SEAT Leon Cupra for a while. For 2017 Graham gas acquired a Renault Clio 2000 and intends to run it in the Castle Combe Saloon Car Championship. Jim is the MD of Lifeline Fire & Safety Systems who are a familiar supplier of safety equipment to the motor sporting world. Based near to Silverstone, Jim has had a varied career in motor sport including racing Karts and Saloons as well as Sprinting an F3 RALT RT30 which he still owns. 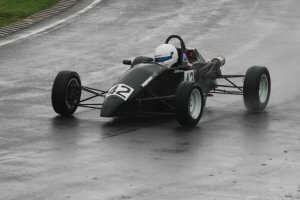 After a few races with a Quest FF87 a Van Diemen RF05 was acquired and converted to run in Kent engined Club Formula Ford. In 2008 the pressures of a demanding business limited Jim to tests with WPR and a few outings at Silverstone	but these were enough to indicate the potential of car and driver. 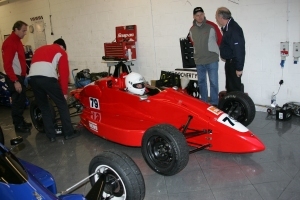 2009 saw Jim concentrating his efforts at Silverstone in the Van Diemen. For 2010 Jim decided to sell the Van Diemen to Josh Fisher and try something different. An immaculate Lotus 23B was acquired and this has been run by the team, predominantly at Silverstone although there are plans to venture further afield. A new car/driver combination for 2011 sees Ray Smith, a tax lawyer from Hampton, join the team after an earlier outing in friend, Don Boyack's car at Silverstone. In fact Ray previously raced (and crashed!) Don's Van Diemen RF88 in Western Australia back in the late Eighties. 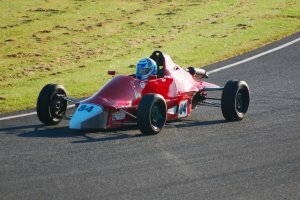 Ray had begun in Karts and became the International Class Western Australia champion before moving on to Formula Ford. Some success followed and Ray took part in the 1988 FF support race for the Australian GP as well as taking the class lap record at Wanneroo Park in 1989. Moving back to the UK Ray did a few FF races with the Jonathan Lewis team including a memorable 7th at Oulton in a race which saw David Coulthard and Kelvin Burt finish in the top two places. In 1990 Ray dod a few Vauxhall Lotus races before calling it a day. Now equipped with a Swift SC92 and BOLD engine, recently acquired from historic FF racer Amanda Whittaker who reportedly only used the car in three races in three years. Before that it is believed the car was run by PA Motorsport. Ray is planning to take in races which [articluarly appeal including Outlon Park and the Walter Hayes. With two Karting sons there won't be too much time to do many more events! Calum McHale, from Preston, acquired the ex Ash Clifford/Josh Fisher Mygale SJ01 in 2013 and has begun his racing career in FF1600 with Wayne Poole Racing. 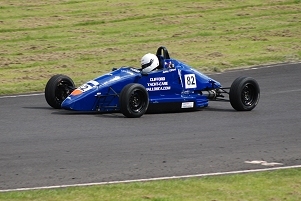 Calum's only previous track experience was a one off outing in a Formula Ford but following tests in the Mygale with WPR embarked on a race programme in 2013 and has showed early promise. Still at University studying Automotive Engineering, Calum is trying racing to gain experience, learn about racing and see how he gets on and how much he likes the sport. Andrew, an engineer, hails from Llantwit Major close to Llandow Circuit in South Wales. Having completed Silverstone's Racing Driver course with a win in the end of course race Andrew was keen to get on to the circuits as soon as possible. Following a test session with the Wayne Poole Racing team, Andrew had his first public race in one of the team's Class C Van Diemens at Combe in September 2007. 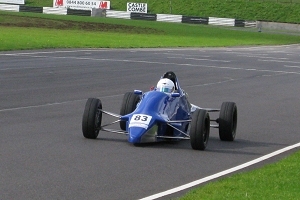 After a break for a few years Andrew returned to the cockpit on an occasional basis in 2014 and quickly began to show competitive form so that by 2016 he was achieving podiums and class wins on a regular basis. 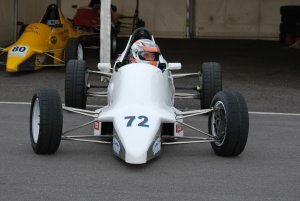 Although not part of the race team Chris Bennett runs a WPR sourced and maintained Van Diemen RF89 in various Sprint championships. Chris, from Acton Turville, has raced, sprinted and hillclimbed his Caterham 7 for a number of years and after retiring decided to try a single seater. In 2006 he acquired the ex Matt Dochery/Tom Margetson Van Diemen RF88 which was used with some success in Sprints through to the end of the 2008 season. 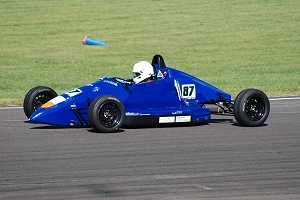 For 2009 the Van Diemen RF88 was swapped for one of the team's RF89s which had recently undergone a rebuild and was now fitted with new bodywork in the customary Wayne Poole blue. 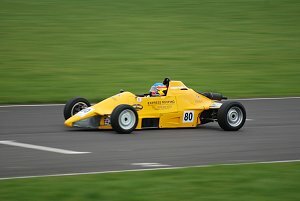 Chris contested both the British Sprint and Richard Egger Insurance HSA Speed championships, winning the Formula Ford class on multiple occasions In another change the RF89 was swapped for a similar RF89 that had been built up from new parts and acquired by the team. With a Philspeed motor for 2011, updated by Neil Barnett for 2016 the car makes occasional appearances at Sprints around the country. With the 50th Anniversary of the Formula taking place in 2017 there has been a resurgence of interest in the Class in Sprints and Hillclimbs and the RF89 is due to make further appearances. Pete was probably the oldest regular Formula Ford competitor at Castle Combe and probably in the country until his retiurement in 2016. Pete, from Chippenham turned 80 in 2016, had been a stalwart of the local FF championship for many years. 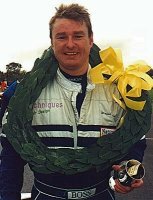 In fact way back in 1997, racing a Van Diemen RF89, as he continued to do until his retirement, he managed to beat a young Wayne Poole a couple of times early in the season. Pete tested regularly and kept in good shape. This helped him remain competitive and he was capable of running 1m 16s at Combe and even breaking into the 15s on occasion. At the end of 2010 Pete scored a Class podium position at the final round of the Combe Championship. After such a successful career in Caterhams Oliver is seeking a new direction in his race career. Keen to try single seaters he had a test and race in one of the WPR Class C Van Diemen RF89s at Castle Combe in May 2008. Both the test and race went as well as anyone could hope for with close to record times and a win the first time out. Following more good showings in the WPR Van Diemen Olly has acquired a Swift SC92 which is being run by the Bull family but entered and supported by Wayne Poole Racing. Ashley, 20 and formerly from Stroud Glos but more recently from Palma de Mallorca, Spain for the past 13 years, joins the WPR squad in 2009. 2007:125 gearbox kart and 100cc senior. 3 wins in both categories. 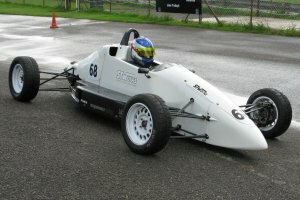 2008:125 gearbox kart. 1 race meeting, 1 win. 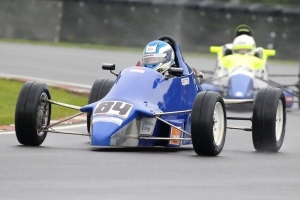 Looking for a new direction and after visiting Castle Combe for the first time in Oct 2008 Ashley decided that racing FF1600 with Wayne Poole Racing would be a great opportunity to gain further experience. 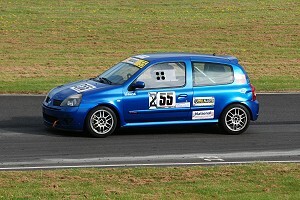 After a successful first test at Llandow in January 2009 Ashley is looking forward to his first season. Ashley has continued to live in Mallorca and commute for all races. After a promising 2009 season in a Class C Van Diemen RF88 Ahs decided to move up to Class A with the ex Josh Fisher Championship winning Mygale SJ03. Commuting from Spain and limited testing have made the adjhustment to the stiffer Class A car a real challenge but some promising lap times have shown that the potential is there. 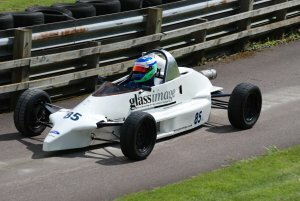 Tom has been associated with Wayne Poole Racing for many years and ran one of the familiar Poole Van Diemen RF88s before acquiring his own Reynard FF89 which he has campaigned in the Castle Combe Championship in recent years supported by Glassimage. After a few fast but largely unsuccessful seasons Ton's luck and performances improved in 2008 and finally, in 2009, became the Class C Combe Champion. For 2010 Tom is planning to take a sabbatical to concentrate on his business. Tom continues his association with Wayne Poole Racing by helping out back at base and at test sessions. Matt, a Sales Manager from Oxford, is returning to racing after a recent lay off following a successful career in Karts and FF1600. 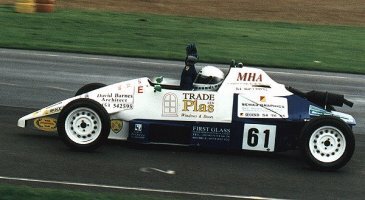 Having raced in Karts from the age of 14 to 21 Matt then moved to Formula Ford in 2000, winning the Super Classic Championship in 2001 (including the event at the Brands Festival) before stopping in 2002. More recently Matt took in a few Formula Mazda races in the USA including such notable tracks as Laguna Seca and Sears Point (Infineon Raceway). Matt decided to return to British FF a couple of years ago and acquired a Zetec engined Mygale SJ01 which underwent a Kent conversion but was never quite finished. Keen to get out on the tracks once more Matt got in touch with Wayne Poole Racing and Tom Margetson got the car race ready within a few weeks. After occasional (but promising) outings in the Mygale in 2009 and 2010 Matt decided to swap to a more comfortable (!) 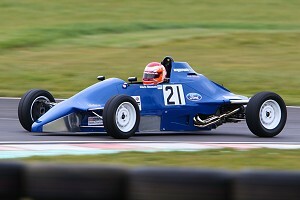 and manageable Class C car by doing a shared ownership deal with Tom Margetson for his Championship winning Reynard 89FF. Darren, an IT consultant from Reading, is new to circuit racing having previously raced on dirt ovals as a teenager. Returning to motorsport after a long break (due to a lack of funds), Darren was able to take in a few tests and races at Combe in 2008 with Wayne Poole Racing. Since then Darren has driven his Van Diemen RF88, sourced for him by WPR, at Combe when time and other commitments allow and has gradually increased his pace to become a podium contender..
Darren has also been supporting the Steps Charity, a small national charity supporting children and adults affected by a lower limb condition such as clubfoot or a hip condition, through his racing. 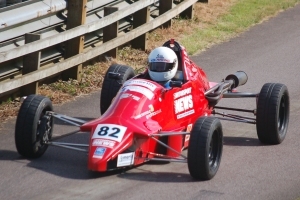 Des, from Bath, has previously raced as far back as 2004 in Clubmans with a Mallock MK 23 & MK28 with some success but has now decided to turn his hand to both Formula Ford and GT racing. At the end of 2008 Des tested and raced a WPR Mygale SJ01 and, in a new venture for the Wayne Poole team, had his forst outing in his own Sleek sports car powered by a 2 litre Vauxhall engine. Des had a few outings in the Sleek in 2009 but decided to switch to a Radical SR3 for 2010 which he shared, on occasion, with the BARC's Guy Woodward. 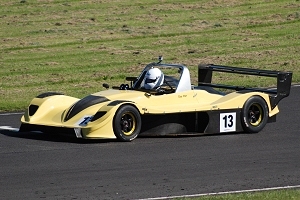 After experiencing a number of reliability problems with the Radical the unique Megar Hart was acquired for 2011. Fitted with a traditional car engine in the shape of a 2 Litre Vauxhall Red Top originally built by Swindon Race Engines. 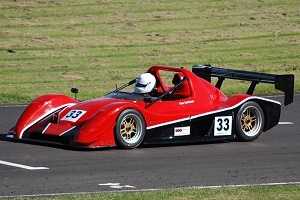 The Megar Hart is a one off design from John Hart from the mid nineties using RALT Formula Three running gear. 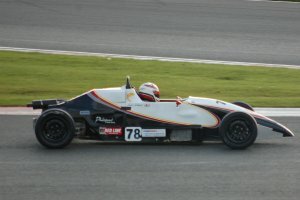 Felix, brother of Josh, Fisher had his first Formula Ford race in a Wayne Poole Racing entered Swift SC92 at the 2007 Walter Hayes Trophy meeting at Silverstone. Prior to this Felix had completed a season on Formula Renault, competing in the 2007 BARC series. For 2008 Felix targeted the Castle Combe Class B Championship and success was quickly forthcoming. Felix ran very competetively in Class B notching up several wins and easily took the Class Championship and second place in the overall Championship behind brother Josh. Highlights of the year included an overall win at the August Combe meeting and a fighting sixth place at the end of year WHT. 2009 proved to be another successful year with the Class B Combe Championship, plenty of wins and third on the podium at the end of year Walter Hayes Trophy meeting at Silverstone. One of the youngest drivers in the Wayne Poole squad, Matt from Magor, began in one of the team's Van Diemen RF88s putting up some encouraging times and performances. 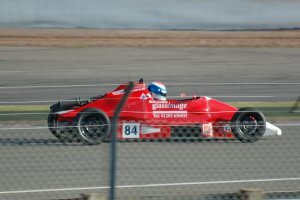 In 2006 the Van Diemen was replaced with a Mygale SJ01 similar to the one the team principal was running. The high expectations for 2006 went unfulfilled after some promising testing times gave way to a couple of mechanical problems and a shortage of funds. Matt made it out at the Walter Hayes Trophy at the end of the 2006 season but was a little race rusty and didn't make the final. The 2007 season was restricted to a couple of outings and finished with a blown engine at a Powernight meeting at Silverstone. 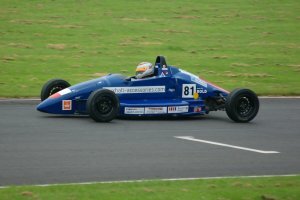 Another regular with the Wayne Poole squad, Steve from Bracknell, has been racing his familiar Van Diemen RF89 in the local Combe championship for a number of years. More recently Steve's outings have been restricted to the prestigious end of season Walter Hayes Trophy meeting at Silverstone. Morte Powernights events are planned for 2008. Matt, aged 23 from Exeter, began his racing career as a novice with Wayne Poole Racing in the Castle Combe FF Championship in 2006. An excellent first season saw him finish 4th in class C and go into 2007 with high hopes. After a succesful early season test in 2007 Matt came in 9th overall at the first meeting of the year on Easter Monday and a promising 3rd in class. However, owing to lack of funds, Matt was unable to complete his 2007 season and is looking forward to getting back inot the cockpit soon. Another new driver in the WPR team for 2010, Andy Steele an IT Consultant from Wokingham has previously competed for 3 years in Sprints & Hillclimbs in a Caterham. Wanting to get more track time and try his hand at racing Andy underttok a test day with WPR and quickly adapted to a single seater. After taking in a couple of end of season Formula Ford races at Combe Andy is deciding what to do next. Bath solicitor and BARC Chairman, Guy Woodward will be sharing Des Andrews' Radical SR3 on occasion during 2010. Guy has had a long and successful career in racing and in GT cars in particular having won Class A in the Combe GT Championship three years running (2005-7) in a Jade. Guy's successful career dates back to the eighties when he won 2 Clubmans Championships in 1985 and 1987 in a Mallock. 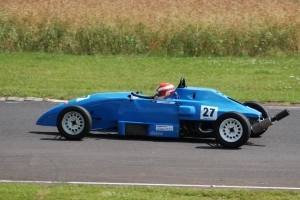 A new driver in the WPR team for 2011, Vince Mann, from Exeter purchased one of the team's Van Diemen RF89s to finish his first season in circuit racing having previously competed in a few Castle Combe Formula Ford races in a hired Swift. Vince, who runs 4 Honda dealerships in the South West previously did a couple of seasons racing in 125 Rotax Max at Dunkeswell and has competed in a large number of marathons. Having acquired his own car, Vince plans to concentrate on the Castle Combe series and become more familiar with Formula Ford racing. A new car/driver combination for 2010, both the car and driver have interesting backgrounds. Don, an IT consultant from Woking specialising in digital mapping, from Woking has had a sporadic race career involving Australian FF for 18 months in the early nineties and more recently with a 2002 Spectrum at Barbagallo Raceway in November 2009! Don's Van Diemen RF88 is the ex John Village run car that Vincenzo Sospiri won the 1988 FF Festival with. In 1989 it was exported to Australia where it led the national FF championship for a while before being sold to Don wha ran it for a year or so before the money ran out! Working offshore, Don kept the car and shipped it back to the UK where it was stored since 1993. 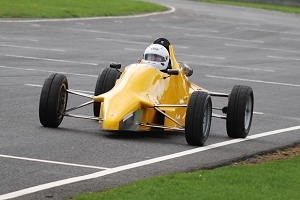 Recently restored by Peter Alexander and fitted with new yellow bodywork (Don still has the original blue Sospiri bodywork) it had its first run for many years at a Combe test at the end of 2010.